A group of up to 145 pilot whales have died after becoming stranded on a beach on Stewart Island in New Zealand. The whales were discovered on Mason Bay beach by a member of the public over the weekend. Around half of the whales had already died whilst the others were put to sleep by local authority teams at the scene due to the difficulties involved in trying to save them and the distress caused. New Zealand has one of the highest number of stranding incidents with pilot whales often involved. Pilot whales can strand in large numbers as they live in very tight social groups and, when a lead individual has made a navigational mistake or one of the group is sick or wounded, the rest of their pod frequently follow that individual towards the shoreline and into trouble. 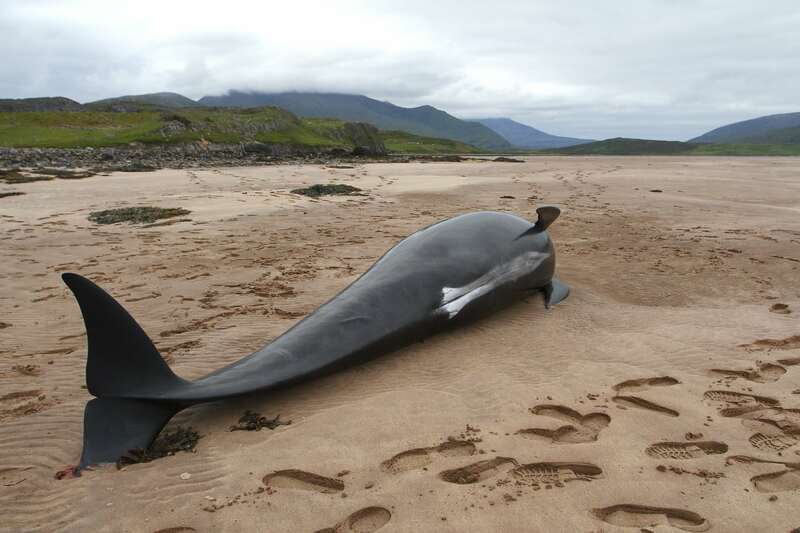 WDC helps with strandings around the world and works on projects seeking to understand why whales and dolphins strand – DONATE TO HELP OUR WORK.